A Place for Combination Gun Lovers to Gather. The Online Coffee Shop and Gun Store Counter. Pull up a Chair and BS a While. Eclectic Tangents Always Welcome. 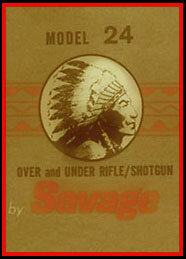 This is a Savage model 24 enthusiast's site, but is in no way affiliated with, nor does it represent Savage Arms Inc.